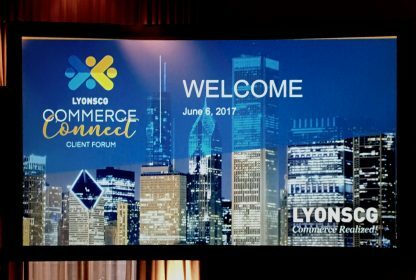 Last week, we had the pleasure of hosting many of our clients in Chicago at LYONSCG Commerce Connect, our annual client forum. By all accounts, it was a great event – from the Chicago architecture river cruise to the amazing dinner and most importantly, the dynamic exchange of ideas and information. Here are five highlights from the various sessions that explore what it takes to engage with today’s consumers and buyers in a unified way. What’s your superpower? This was the question asked by Tim Johnson, VP of Commerce at Magic Leap. Magic Leap is an exciting new technology company that’s developing the next computing platform that will enable you to seamlessly combine and experience your digital and physical worlds. Tim’s question was more than just an icebreaker. At Magic Leap, their superpower is using virtual reality to enhance our environments, and how the transformative power of virtual reality can change customer experiences forever. With the ability to remove many obstacles from the customer journey, virtual reality has the potential to reinvent customer experiences for brands. 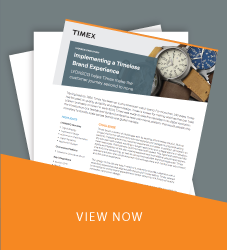 Unified commerce isn’t about why your products are great; it’s about how your brand can deliver the seamless, memorable experiences that customers expect. Virtual reality has the potential to do just that. According to Brandon Witcher, Principal Analyst at Forrester, everybody in retail is constantly told they are “behind” the times in terms of technology. With constantly growing customer demands, how do businesses identify “hot” from “hype” when determining the right digital tech solutions? It seems intuitive, but the critical operator here is time. Armed with key industry data, Witcher implored that as businesses look to drive customer engagement, they must select the right technologies and solutions for the present time. Investing in tech too far ahead of customer expectations leads to abandoned programs and unrecoverable costs. Not innovating results in an outdated and unappealing shopping experience. Where, then, is the sweet spot? Essentially, a lot of the tech conversations we hear around retail may not be the best options for present customers. For example, AI and virtual reality will certainly change retail and adjust customer expectations, but that is not happening at this exact moment; the tech is too new and there is no proven adoption rate by the consumer. What will work in 2017, says Witcher, are strategies around personalization and a customized shopping journey that require harmonized systems to drive businesses towards unified commerce. The afternoon session started with a bang as LYONSCG EVP and Co-Founder Dave Barr sat down with Dawn Trenson, Director of eCommerce Operations at Intermix, Anurag Kadyan, VP of eCommerce at Tourneau, and Laura Coblentz, VP of Marketing and eCommerce at Pharmaca, to have an open panel discussion on their experiences implementing unified commerce strategies. Instead of providing a how-to guide for achieving unified commerce, the panel went into great detail describing how the intricacies of their businesses prioritize what solutions need to be implemented when. Customer expectations determine where businesses invest and optimize, and this will be different for every business and their customers. (Left to Right): Moderated by LYONSCG Co-Founder and EVP, Dave Barr, panelists Dawn Trenson, Laura Cobletz, and Anurag Kadyan break down unified commerce and efforts their companies have been taking to make that a reality. The panel reflected this point perfectly, as the three members all come from different industries with different customer expectations. This is at the core of the panel’s conclusion: retailers don’t just arrive at unified commerce once they install the right tech. Unified commerce is about adapting to ever-changing customer expectations, and positioning your business to meet and exceed them. It is about leveraging every ounce of data to create a streamlined, personalized shopping experience for every customer; and as customer expectations evolve, so to must your business. Unified commerce is the catchiest phrase in retail. Everybody wants to achieve it, and tactics around logistics and seamless channel integration dominate the conversation. What, then, does that mean for marketing? How can that data help unify not just the shopping experience, but brand communication as well? Sarah Fung, Sr. Digital Marketing Consultant at LYONSCG, made that connection. 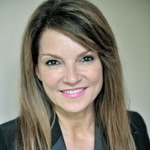 Revolving around the same customer-centric, data-driven approach that sets the foundation for unified commerce, Sarah’s illuminating expose pointed out how these core concepts can optimize and invigorate marketing and communications between you and your customers. She went on further to explain how the data collected throughout various business systems (Commerce platform, OMS, CRM, etc.) needs to be put together to form a 360-degree view of the customer. Only then can your marketing efforts be personalized in a way that creates a truly personalized experience. There may not be two people more informed and more passionate about Order Management Systems than PUMA’s VP of eCommerce, Chris Hardisty and LYONSCG’s VP of Managed Services, Aaron Eversoll. The audience had the privilege of learning from their experiences in selecting and deploying OMS. Unified commerce is about more than just a seamless engagement with customers across devices and channels: it is about your business systems working in harmony so that every bit of data can be utilized to optimize that individual customer’s experience. The OMS is the key to this. From drop shipping to pick-up-in-store and real-time inventory displays, the OMS acts as the backbone for getting customers their products when and where they want. Chris and Aaron discussed what to look for when selecting an OMS with laying out a specific plan why Puma needed an OMS upgrade. The discussed in detail the amount of work behind the implementation, and the critical importance of how OMS data is translated and shared throughout your entire business infrastructure. LYONSCG VP of Managed Services, Aaron Eversoll, and PUMA VP of eCommerce, Chris Hardisty, share thoughts on the current OMS ecosystem and how it will evolve moving forward. Between the knowledge, expertise, and personalities that came together, we all left the event even more excited and motivated about the opportunity that lies ahead. We look forward to doing it again next year!